Properties in Castelnau-d'Auzan average 4.8 out of 5 stars. Experience a little piece of truly rural, friendly France. Property 1: Experience a little piece of truly rural, friendly France. Lovely rural gite in beautiful., peaceful location. Property 3: Lovely rural gite in beautiful., peaceful location. Property 5: Green Shutters Gite In SW France. Village Location. Heated Swimming Pool. Property 9: Beautiful rural house with swimming pool near the village of Castelnau d'Auzan. Property 16: Charming Timbered framed House, Private Pool And Large secluded Secure Garden. Designers spacious Loft in quiet countryside. Property 17: Designers spacious Loft in quiet countryside. Cosy and charming cottage on a large nature estate ideal for couples! Property 20: Cosy and charming cottage on a large nature estate ideal for couples! 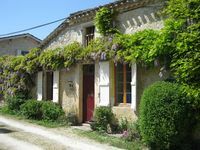 A lovely village house in the heart of unspoilt Gascony. 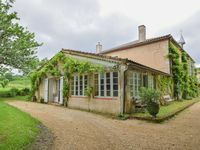 Property 35: A lovely village house in the heart of unspoilt Gascony. Property 39: The cork-house in a town boundary of Lot-et-Garonne and the Gers. Maison King is set in a Stunning village sleeping 8 . Property 47: Maison King is set in a Stunning village sleeping 8 . Fabulous Taste of French Country Life. Our stay at Le Tilleul was a lovely respite from an very active five week trip. This is a wonderfully appointed and well-equipped rental that feels like home. There's a nice swimming pool shared with the next door neighbors and meeting them was a bonus for us. Larressingle is a tiny but curt town with amenities, as well as it&rsquo;s very own castle. We highly recommend this wonderful home and area. We were able to take many day trips all culminating in delicious meals. This is a gem of a home. We stayed for one week in this gite. It is clean, tidy and comfortable. We enjoyed the outdoor area within the lovely park-like grounds of this property set in a forested area. The family were extremely hospitable and informative about the surrounding country and activities. A car is needed and the local village is only about 3 or 4 minutes away, with a larger township within 7 minutes. There are plenty of villages and towns in this region to visit and it is only about a two hour drive to the Atlantic Coast.